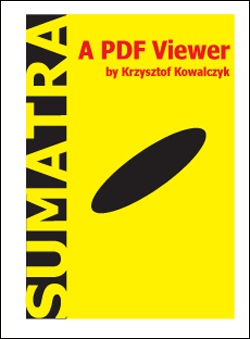 Sumatra PDF is PDF viewer for Windows. It small and starts up very fast Viewer. It also support for displaying DjVu, XPS, CBZ, CBR documents and added Print toolbar button. I initially thought that the Sumatra pdf is the product of the developer from Indonesia but after seeing the web from the manufacturer. This product was not derived from Sumatra, Indonesia.